Henry Reuterdahl was a master painter of ships and the sea. His early pictures were literal and factually accurate, but his later pictures, his knowledgeability allowed him a heightened impressionistic approach in the manipulation of the elements of weather, sea and ships, with a brilliance of color appropriate for his ageless, primal subject. During the Spanish-American War, he served as an artist-correspondent. 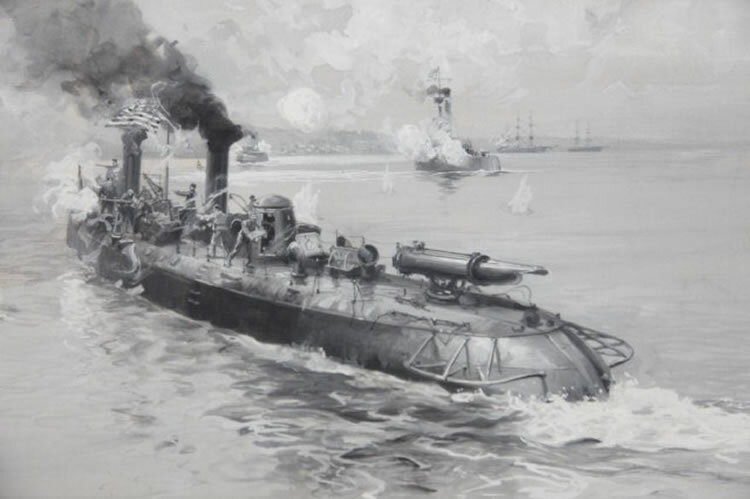 He also accompanied the American Fleet on several voyages including one through the Straits of Magellan in 1907, and another to the Mediterranean in 1913. 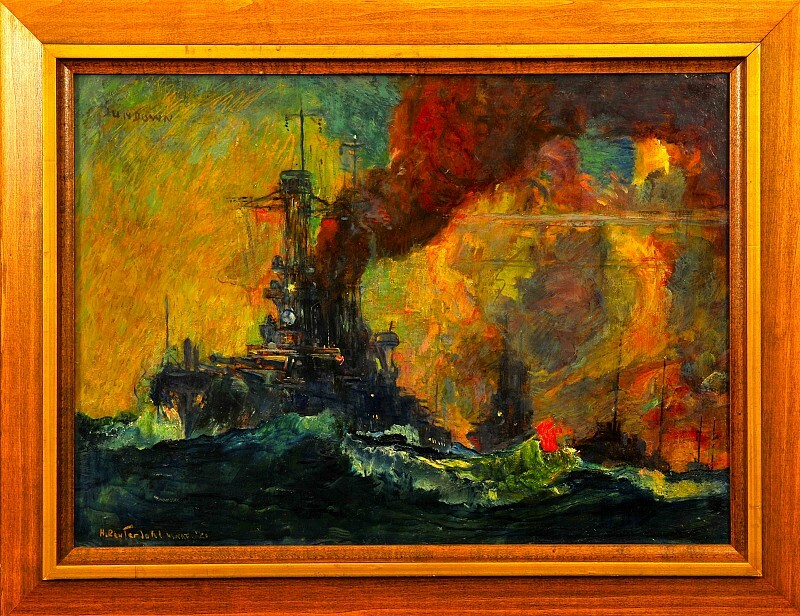 As a Lieutenant Commander during World War I, he was artistic adviser to the United States Navy Recruiting Bureau in New York and made paintings for many of the Navy’s most effective and dramatic posters. He is represented in the collections of the National Museum in Washington D.C.; the Naval Academy at Annapolis, Maryland; the Naval War College in Newport; and in the Toledo Museum.